Born in Bethel near Caernarfon, she was educated at Ysgol Bethel and Ysgol Brynrefail. She graduated in Modern Languages from Jesus College, Oxford where she also completed a DPhil in Celtic Studies. She taught at the universities of Vienna, Swansea and Cardiff before being appointed to Bangor University's School of Welsh in 2006. Her research encompasses both literary studies and creative writing, and she has published widely in both areas. Her study of the Welsh poet, T. H. Parry-Williams, Ffarwél i Freiburg, won the Ellis Griffith Prize and was shortlisted for Wales Book of the Year in 2014. 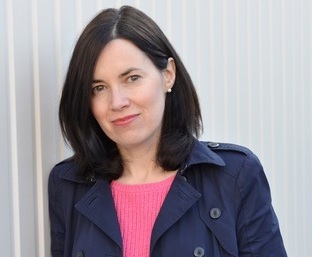 Her first novel, O, Tyn y Gorchudd (The Life of Rebecca Jones), won the Prose Medal at the 2002 National Eisteddfod and was Wales Book of the Year in 2003. It has been translated into six languages (English, German, Romanian, Spanish, Bengali, Catalan). Her second novel, Caersaint, was shortlisted for Wales Book of the Year in 2011. Her stage play, Nansi (Theatr Genedlaethol Cymru), won Best Welsh Playwright at the Wales Theatre Awards 2017. Angharad's latest book is Trysorau Cudd Caernarfon (2018), a volume of 25 prose sketches inspired by Caernarfon with photographs by Richard Outram. She is a Fellow of the Learned Society of Wales and is Chair of the Advisory Board for the journal O'r Pedwar Gwynt. In 2014 she received the Glyndwr Award for an outstanding contribution to the arts in Wales.